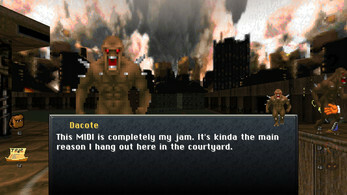 A cozy Doom mod that radically repurposes any Doom level into an Animal Crossing-like nonviolent social space where each monster has a name and something to say. You play Mr. Friendly, a Guardian Demon tasked with helping improve the lives of Hell's minions as they recover from the latest space marine rampage. Level exits work normally; the point is to chill out, do quests, interact with stuff, and explore. 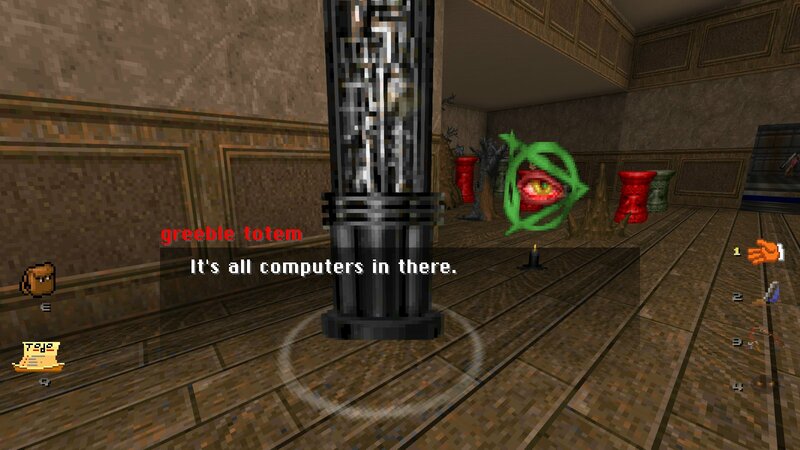 Requires GZDoom 3.3 or later. Works with any Doom IWAD (Ultimate Doom, Doom 2, Final Doom) and a majority of user-created vanilla Doom levels. This mod is still in development and still using some placeholder art, provided here on itch mainly as a way to distribute builds to interested players. See the project's Trello progress log here. If you're interested in contributing pixel art please see the cards in the "Art" column of that board and leave a comment! 1: Equip the grabber, allowing you to pick up and hold objects from the world. Also comes with a "zapper" that can trigger the rare shootable switch. 2: Equip the texture sampler, which can grab the texture from any surface you point it at. 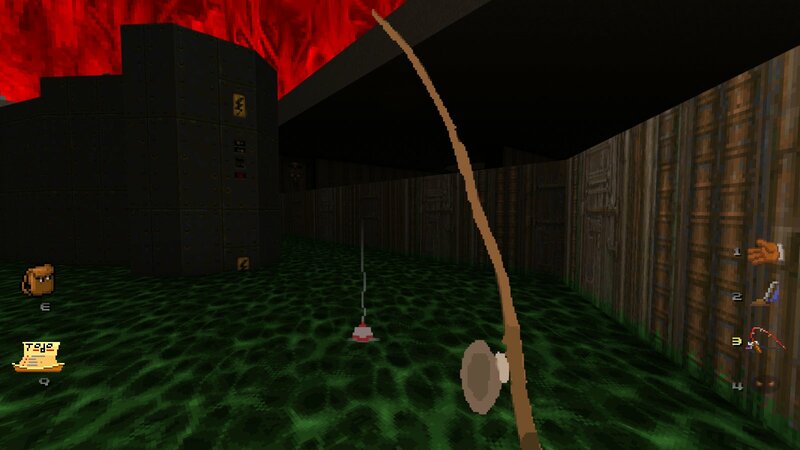 3: Equip the fishing rod, which you can use to fish in any pool of liquid. 4: Equip Guardian Vision, aka "golden eyes", which allows you to see certain otherwise undetectable objects. 5: Equip the Warp Gem, which teleports you back to your starting point in a level. 6: Equip the Whispering Tome, which helps you locate secret areas. Left mouse button: Use the currently selected tool. With the grabber equipped, clicking or holding it again drops or throws the currently held item. 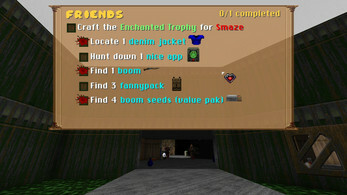 Q: Bring up the quest screen, showing all quests you've discovered on this level. E: Bring up the inventory/crafting screen, showing all the objects you've stashed, and allowing you to craft special items out of ordinary ones. F: Toggle flight off and on, in case you'd rather walk. Might help motion sickness-sensitive players. Tab: Bring up the map screen. 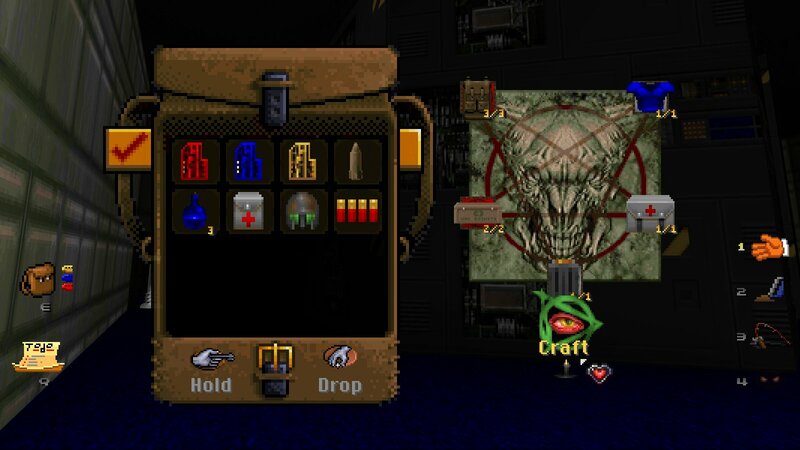 Open the file "friendly.zip" or its enclosed "friendly.pk3" with GZDoom, either from the command line or by dragging the mod onto GZDoom's icon.